Kenneth W. “Kenny” Reis, age 67, of Watertown, SD, passed away on Thursday, August 16, 2018, at Sanford Health Hospital in Sioux Falls, SD. Memorial services will be held at 2:00 p.m. on Tuesday, August 21, 2018, at Crawford-Osthus Funeral Chapel in Watertown. Pastor Lamar Wittemore will officiate. The family is requested to meet by 1:30 p.m. at the chapel on Tuesday. Visitation will be prior to the service at the chapel on Tuesday, from 12:00-2:00 p.m. There will be no burial. Military honors will be conducted by Codington County Post #17 of the American Legion, Watertown, and the Funeral Honors Team of the SD Army National Guard. Honorary pallbearers will be Kenny’s grandchildren, Tyler and Julia Reis. Active pallbearers will be: Vance Reis, Damian Herrman, Desi Reis, Darwin Kasperson, Les Nordtug and Fred Farris. Kenny was born on January 26, 1951, to Bernard and Irene (Fischer) Reis, in Aberdeen, SD. After graduating from Aberdeen High School, he enlisted in the U.S. Army. Kenny did two tours of duty in Vietnam and received many honors, including the National Defense Service Medal, the Sharpshooter Medal and the Vietnam Service Medal. After his honorable discharge, Kenny moved to Washington State, where he worked at Lockheed Shipyards and at the Boeings Company, as a welder and fabricator, building jet planes. In 1981, Kenny married Debra Buchanan, and gained a son, Damian. Together they had another son, Vance, in 1983. He was passionate about cars, and enjoyed rebuilding and selling classic cars. 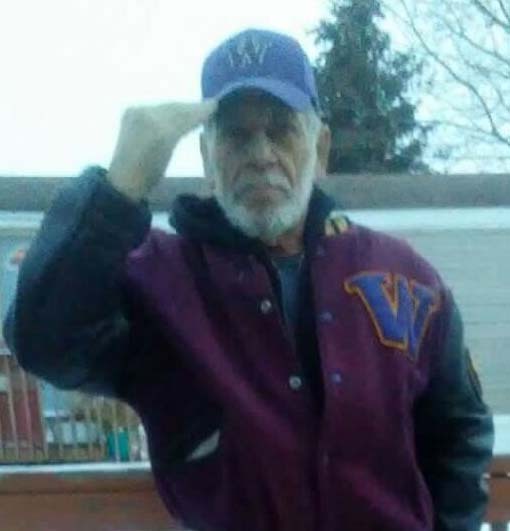 He enjoyed going fishing, and watching football and baseball, especially the Seahawks and Mariners. He was always giving people a hand and would help them in any way. Kenny was very loving and proud of his family and his accomplishments, and very patriotic and proud of his military service. He was very religious and had a strong faith in God, and was looking forward to teaching his grandchildren. Kenny is survived by his children, Vance (Kelly) Reis, of Watertown, SD, and Damian (Lynessa) Herrman, of Renton, WA; two grandchildren, Julia and Tyler Reis; one sister, Valerie Barnes, of Watertown, SD; and several nieces and nephews. He was preceded in death by his parents; two brothers, Scott and Monte; and his wife, Debra.